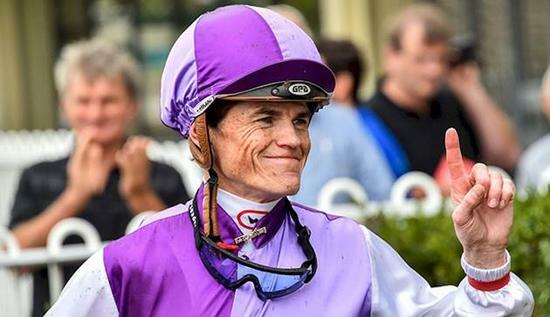 Craig Williams was nowhere near Sandown on Wednesday, but the meeting provided confirmation of his coronation as Victoria's champion metropolitan jockey for the seventh time. Williams, who is holidaying in Europe, held an unassailable lead in the race for the Roy Higgins Medal once Damian Lane was unable to win the opening race on Wednesday's card aboard Leatherhead. That was one of six rides at Sandown for Lane, who entered the meeting trailing Williams by six wins, 63 to 57. Wednesday's meeting was Victoria's second-last metro fixture of the season - to be followed by Saturday's Bletchingly Stakes card at Caulfield - but the last that Lane will participate at. Lane has been lured to Morphettville in Adelaide on Saturday, where his key ride is Nature Strip in the Group 3 Lightning Stakes (1050m) in Adelaide. Williams' 2017/18 premiership win gives him three-straight victories in the award, having ridden 70 winners in 2015/16 and 77 last season. His initial four wins also came in consecutive years, 2005/06 (70 wins), 2006/07 (94), 2007/08 (86) and 2008/09, when he tied with Damien Oliver on 71 wins. Williams joins Jack Purtell as a seven-time winner of the Victorian Metropolitan Jockeys' Premiership. Joint record-holders on 11 wins are Roy Higgins and Bill Duncan with Oliver on the second line with 10 wins.